Throughout most of the history of personal computers, serial ports have been the most basic way to transfer data. Serial communication is a standard, accessible way to communicate with a large variety of devices including modems, mice, and most importantly (from a control engineer’s viewpoint) programmable logic controllers (PLCs). During this period, and extending into today, the RS-232 and RS-422 have been the standard. Most of us who have ever seen the back of a computer know what these ports look like. They’re both oddly shaped 9 pin connectors that essentially only use two pins to transmit and receive data; the other pins are really just to make sure everything is in place. Basically, it “serializes” the communication, meaning it can only transmit one bit at a time. The obvious disadvantage of this is the time it takes to transmit the data. USB ports have replaced serial for the most part, but they still have the disadvantage of device-to-device transmission; this is where Ethernet comes in. 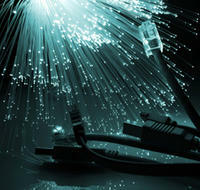 Ethernet technology was first introduced in the early 1980s and quickly became a standard by IEEE in 1983. Instead of connecting all the PLCs together though a single transmission line, PLC manufacture companies, such as Allen Bradley and Siemens, discovered it easier to connect to a single network via Ethernet. This way all the PLCs can communicate with each other without all the hardwiring. Allowing PLCs to communicate correlates into entire control systems working together on a network with ease. The way your computer can share files with another computer on the same network is the same way a RTU (remote terminal unit) in the field can communicate with SCADA (supervisory control and data acquisition) back in the main building. Wireless communications through radios does exist; However, Ethernet is usually the way to go when large geographical separation is not an issue. The value of Ethernet capabilities in a control system company is invaluable. Being able to communicate on a network makes the control system more centralized and easier to troubleshoot specific devices when one is not connecting to the network. As technology changes, Ethernet may become obsolete, but for now it is the communication backbone that keeps control system companies moving forward.